PRP therapy is a popular non-surgical procedure desired by many patients for facial and skin rejuvenation. In this treatment the healing platelets from blood plasma are re-injected into the face (or other treatment site) to enhance healing and boost regeneration. 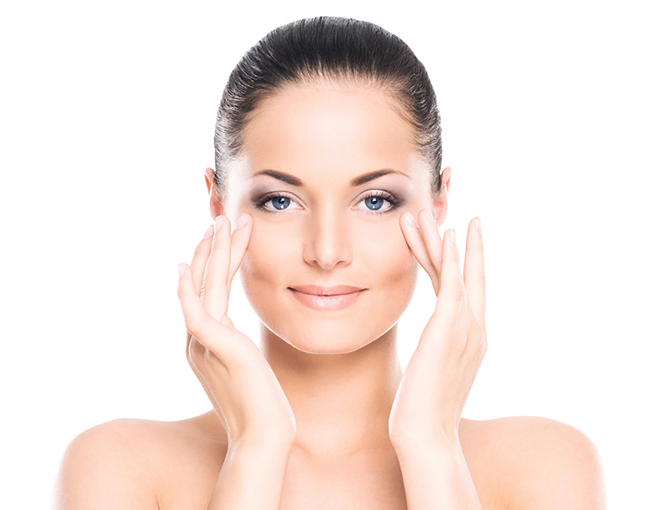 PRP treatments improve your skin texture and complexion by reducing crepiness and replenishing lost facial volume. You can now easily restore a refreshed, more youthful appearance. For PRP treatment the patient’s own blood is drawn, treated, and then the subsequent platelet-rich plasma is injected into the treatment site. This plasma, or 'liquid gold', is injected strategically to encourage skin healing and renewal through collagen production and the activity of growth factors. This increase in collagen and growth factors creates a more youthful, plump and firm skin. The process commences with the Clinician drawing blood from your arm, in the same way you would have a blood test. Isolating the PRP: The drawn blood is placed in a centrifuge for 5 to 10 minutes. This equipment spins the blood at high speed to separate the liquid plasma from the red and white blood cells. This isolated platelet-rich plasma is “activated” with calcium chloride to begin releasing growth factors that, once injected into the body, will increase collagen production and have other healing effects. Topical anaesthesia: If required or requested, your physician will apply a topical numbing cream to your face to keep you comfortable during your treatment. Injection of PRP: The physician injects the activated platelet-rich plasma back into your face. Repeat: Best results are obtained after about three treatments spaced about 1 month apart, though a single treatment can be effective for some individuals. Watch and wait: Growth factors contained in the plasma stimulate the release of the skin’s stem cells. The skin is being tricked into believing that it has been injured and must heal itself with new, fresh tissue. This somewhat sneaky process allows the skin to create new collagen, blood vessels, and cells. The results will not be immediate, so while you patiently wait a few weeks and even a few months, your skin will begin to transform itself. In theory we should all be good candidates for this treatment if we want to improve the quality and appearance of our skin as the product is being extracted and reintroduced to our own bodies. However this procedure is not recommended for those with blood-related conditions, anaemia, or blood or bone cancers. Patients who take blood thinning medication or non-steroidal anti-inflammatories (NSAIDs) should discontinue their medication for a few weeks prior to their treatment and for a few days afterwards according to Physician instructions. Though you may notice these changes, you will not likely have any significant downtime as a result of these symptoms. An appointment for a PRP treatment will take about 30 minutes to 1 hour, though treatment time varies depending on the number of areas you are targeting. Within a few days patients begin to see noticeable results. Within 2 to 3 months, when the greatest benefit is seen, individuals report fully refreshed skin that looks and feels more youthful. These results can last between 1 to 2 years depending on the individual. Topical anaesthetic can be applied to make the procedure more comfortable. There is minimal downtime with PRP. You can go back to your regular daily activities after your appointment and, with a light make-up application; no one will be the wiser about your procedure. If you choose to have PRP in conjunction with Skin Needling, you will have facial redness for 1-2 days that can be covered with mineral make up. Costs vary on what area you are having treated. Your clinician will discuss pricing with you before treatment commences.